With all the rain we have been getting, our May flowers should be GAWGUS!! ( That's gorgeous for all you non Southerners!) 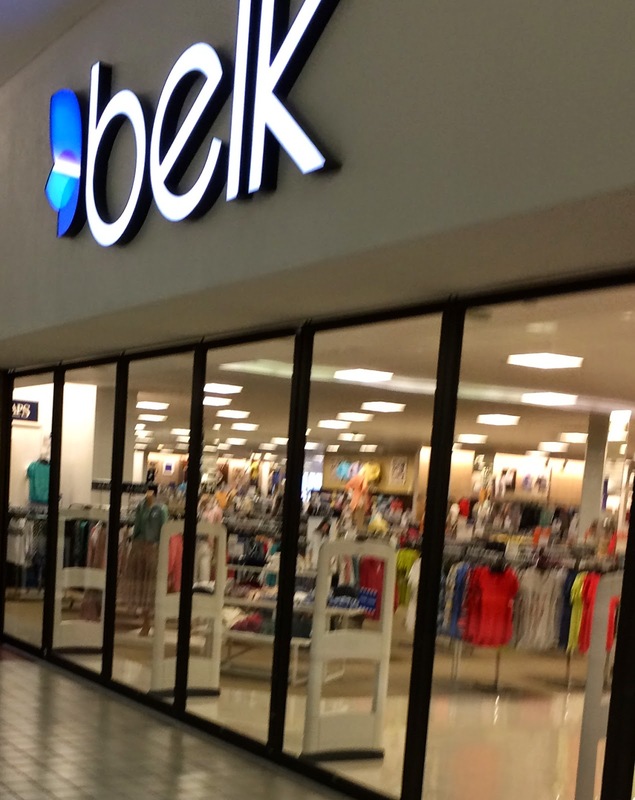 But rain means that if I want to get my walking in I must head to the Decatur Mall. Thankfully it is not far away and as I was walking yesterday I was considering the pros and cons of mall walking. 1. Trees without pollen. The rain should get rid of the pollen but I am finding that since I diffuse Lemon, Lavender and Peppermint YLEOS, I have no problems with seasonal allergies. 2. 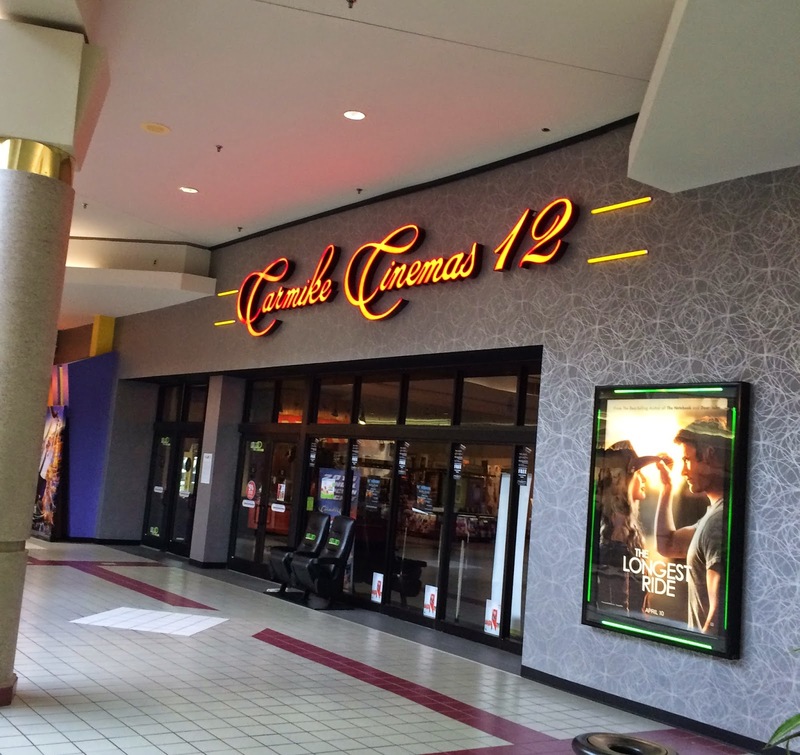 You can check out what's playing at the movies. My daughter saw The Longest Ride and really enjoyed it. The last movie I saw was Cinderella. 3. 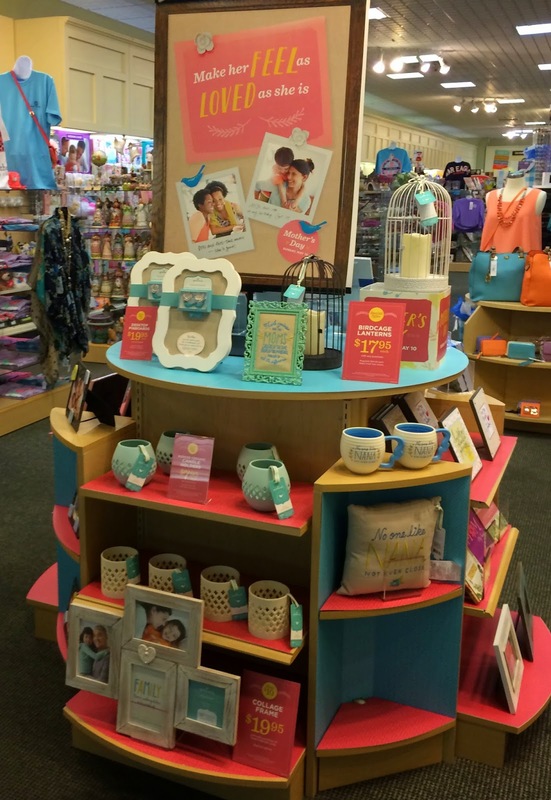 You know which Holiday is coming up next...Mothers Day Gifts were on display at Hallmark. 4. 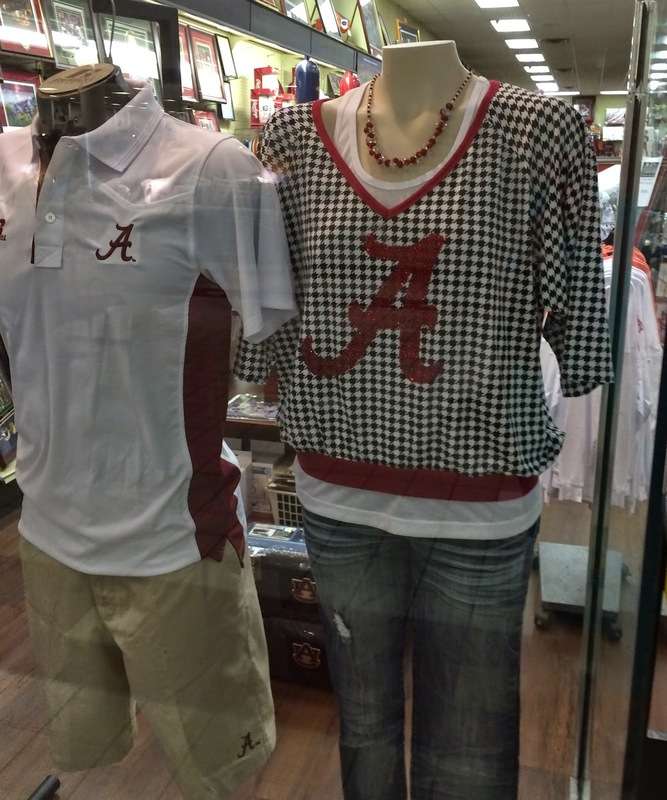 You can plan your fall wardrobe for Alabama Football. 5. Having breakouts?? 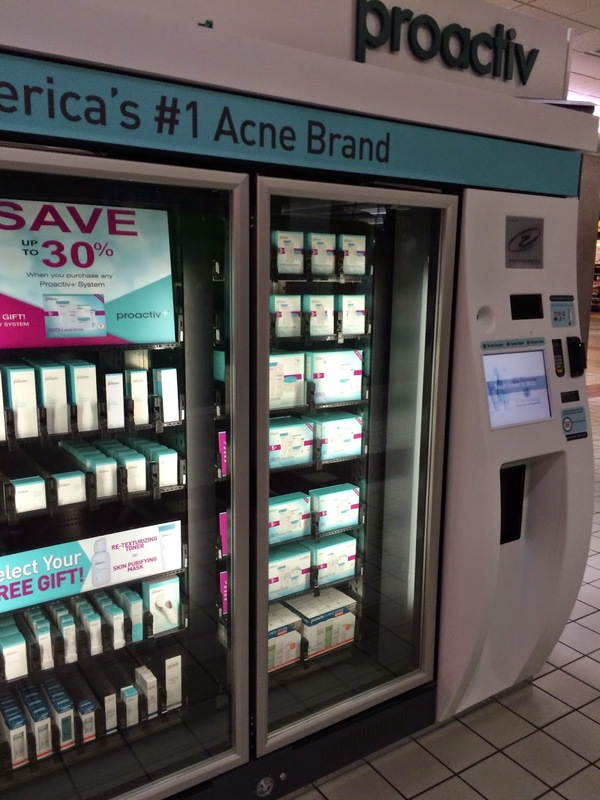 ?Get your ProActive from this machine!! Ladies, it has been quite a while since I have shopped at the mall, being a TJ Maxx gal, but I was amazed at all the things you can get from machines now!! 6. 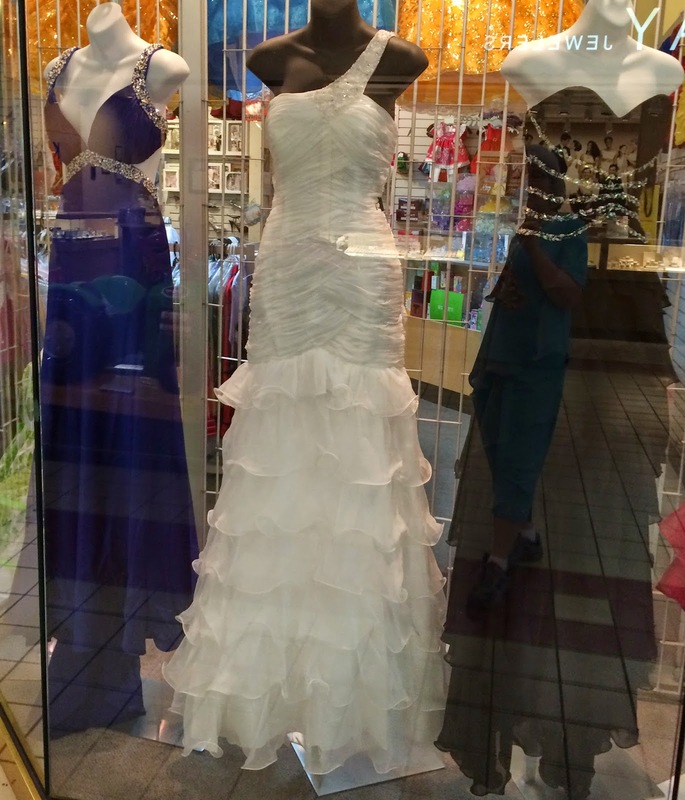 Need a prom dress???? You can find one here. 7. Saving the best for last. 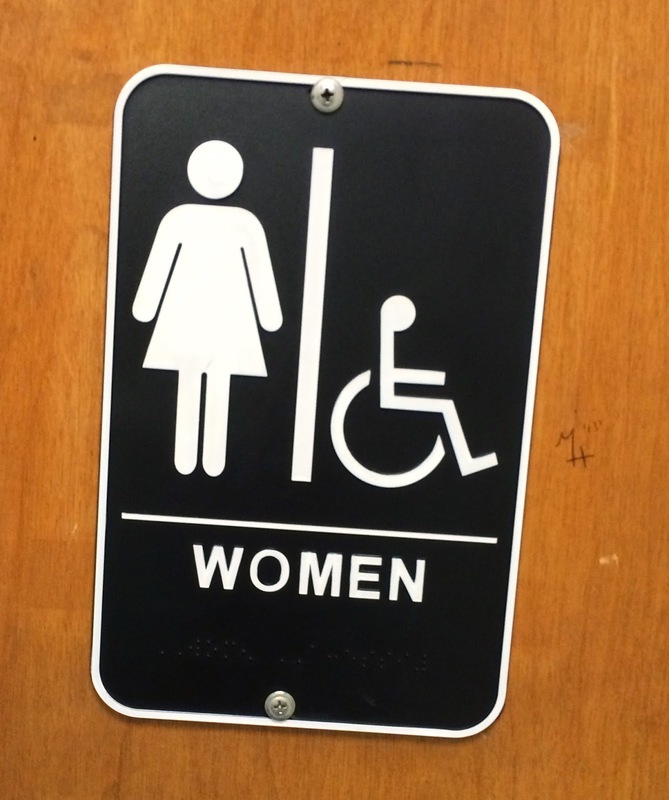 We ladies of a certain age, like to know there is a clean facility for the mall walkers. I have to say that when I go early in the morning, I am surprised at the large number of people using the mall for exercise. Most of them are older folks but some of them can really motor along. Of course the mall is cool in the summer and warm in the winter..no excuses for not getting those 10,000 steps in!! Thanks to the mall for making their property available for the community. 1. It sure is hard to exercise when you can smell cookies baking. 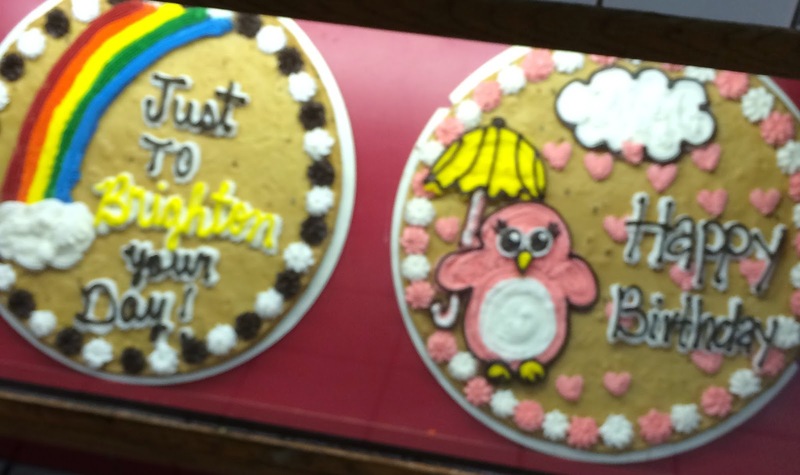 I try to get to the mall early for this reason...no temptation when the cookie store is closed. 2. 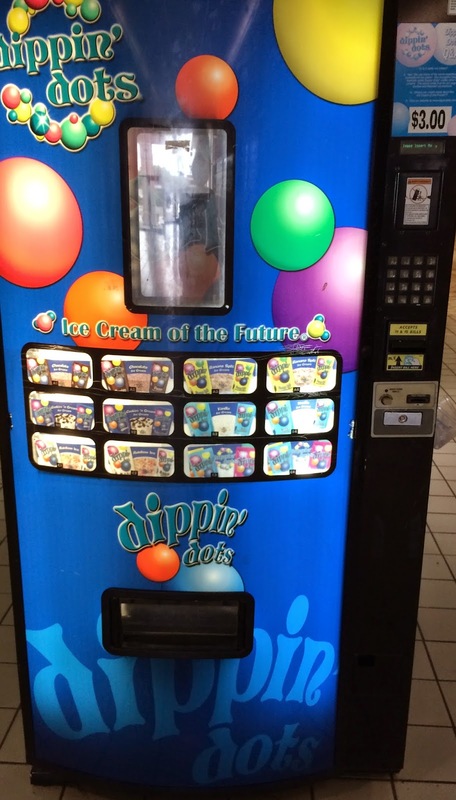 Dippin Dots in a MACHINE!! What will they think of next? 3. 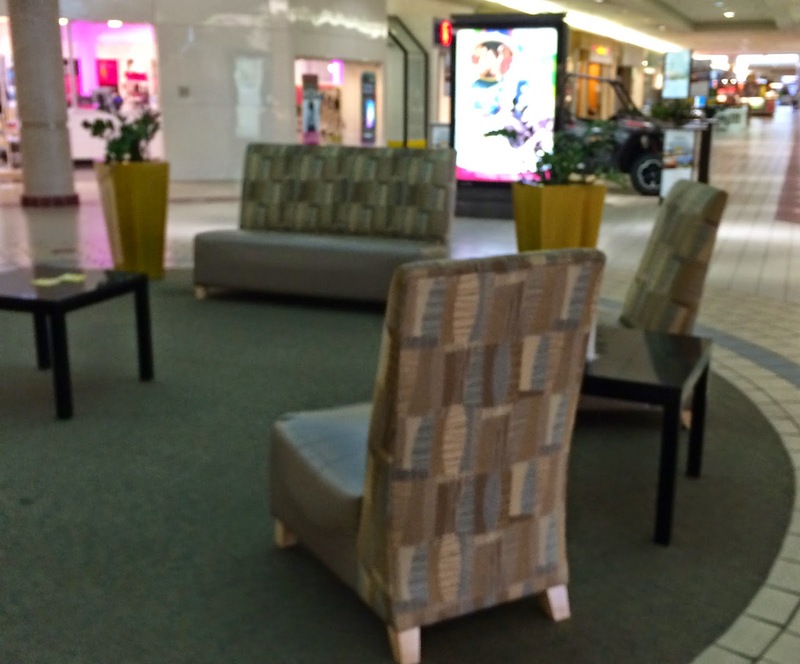 A nice place to sit and watch other people walk...uh, no, you are here to make it around the mall five times!! 4. If you are like me and get distracted by pretty dresses and shoes, the mall might not be the place for you to exercise. :) And I want everyone to know I took these photos on my cool down jaunt around the mall. Over all I think I will be using the mall several days a week for my exercise. As I said before, as long as the mall is there and it is open I have no excuse NOT to walk. I will also say that my FitBit has really encouraged me to exercise. Even at home, if I am watching tv, I take time during the commercials to get up and move..do a small chore or put something away! I am slowly learning that eating less and exercising is the proper way to stay in shape? Who Knew??? You are an inspiration. Ever since breaking my foot, I have the hardest time walking. 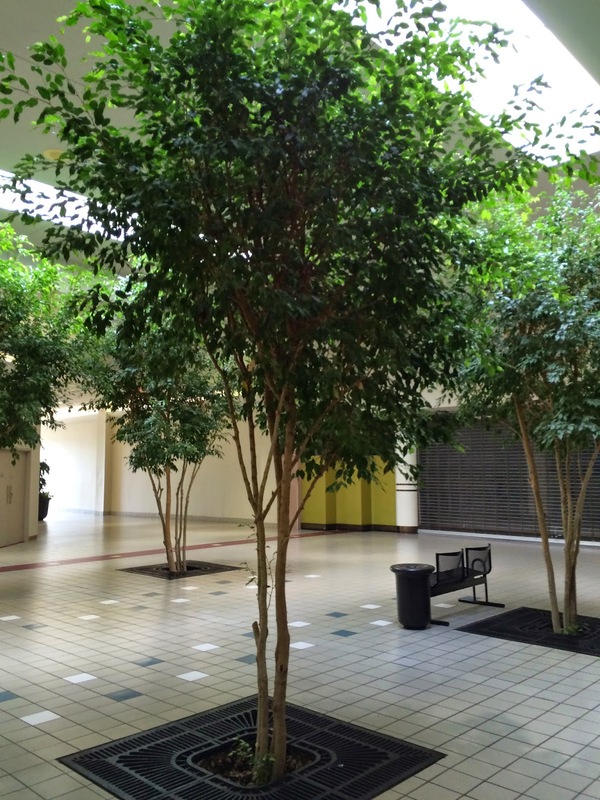 The Gainesville mall is not very big and I usually can hobble around it a few times. We have those good smelling cookies here too!!! Oh Mildred, the smell of cookies baking has to be one of the most tempting aromas!! I admire you hobbling around the mall when it is painful! What a good idea, I've never heard of mall walking. Unfortunately our mall is in the city and I live a bit far away to go in every day. Terri, I try to go early in the morning to avoid temptation!! Diana, I can understand the distance being a problem. I am glad my mall is close enough for walking during the rainy and cold weather. We have a local park that I walk at when the weather cooperates. Happy Siblings Day...A Day Late!